Vitamin A is a fat-soluble vitamin, which means that it is stored long term in the body. Vitamin A is mostly stored in the liver, it’s name came from being the first vitamin to ever be discovered! Vitamins are not able to be made in the body, and must be obtained through diet or supplementation. 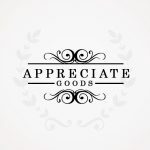 Vitamin A is an extremely important essential vitamin used in many processes in the body, such as allowing us to process light in order to see, neutralizing free radicals, and providing a strong immune system. It is found in a majority of food types, such as meat, dairy, fruits, and vegetables. Meat: Beef liver has a high amount of Vitamin A in it since that is the location where a majority of it is stored. Fish: Salmon is a good example of Vitamin A found in fish. Poultry: Chicken and turkey liver has high concentrations of Vitamin A because it is stored there. Dairy: Butter, cheddar cheese, and milk are good sources of Vitamin A as well as fats that help with vitamin absorption. Fruits: Cantaloupe, grapefruit, and apricots are fruits high in Vitamin A. Vegetables: Carrots, collard greens, sweet potato, and lettuce are great sources of Vitamin A.
Retinyl Acetate/Retinyl Palmitate: This preformed Vitamin A is usually found in these compounds for supplements because it makes it more stable. Retinol is sensitive to oxygen and when exposed to it will form Retinoic Acid. Beta-Carotene: Beta-Carotene is considered an antioxidant on its own, in addition to being a precursor to Vitamin A. Supplements can also come in a combination of both preformed and pro-Vitamin A.
Retinol: Retinol is created from breaking down Beta-Carotene. This is the storage form of the Vitamin and is found in animal products. Retinal: Retinal is made from both forms of Vitamin A both from plants and animal products. This version is found in the eye, where it binds to proteins called opsins. Both rods, which are for night vision, and cones, which are used for color vision use Retinal. Retinoic Acid: Retinoic Acid aids in cell growth and development. It is also used in the formation of bones, teeth, and skin health. It is very important for the early development of the embryo, ensuring proper placement of head and body. Cancer treatments and acne medications typically use this form of Vitamin A.
Provitamin A carotenoids: Beta-Carotene is an example of these, versions are found in herbivores and omnivore animals. The body can then turn these carotenoids into Retinol. In food, cooking and digestion help to release these carotenoids for the body to absorb. Primary Deficiency: Children and adults that do not get enough provitamin A carotenoids from fruits and vegetables or Vitamin A from animal and dairy products. Secondary Deficiency: Caused by chronic malabsorption of lipids, impaired bile production, chronic exposure to cigarette smoke and chronic alcoholism. A Zinc Deficiency can also lead to a Vitamin A deficiency because it can interfere with absorption, transport and metabolism of Vitamin A.
Blindness: Vitamin A deficiency is a major cause of preventable blindness in the world. Night vision is affected first, though keratinization of the eye can lead to total blindness. Xerophthalmia: Vitamin A deficiency can lead to other eye problems such as dryness of the eye membrane as it is replaced by keratinized skin. Eventually the cornea is destroyed, leading to complete blindness. Impaired Immunity: There is an increased risk of infection due to the lack of immune helping Vitamin A due to the decrease in interactions with T cells, B cells, and lymphocytes. Cell death is less regulated and gene expression for immune function is decreased. Children who take Vitamin A supplements are less likely to die from infectious diseases like measles in places. Deficiency can lead to the lining of the respiratory system and bladder gets replaced by keratinized skin called squamous metaplasia. Skin changes: Keratosis pilaris creates rough red or brown bumps on the skin, caused by increased keratin production leading to trapped pores and ingrown hairs on the skin. Fetal Development: Pregnant and breastfeeding women need adequate amounts of Vitamin A for normal fetal development, because postnatal supplementation doesn’t reverse the damage. However, excess Vitamin A can also cause severe birth defects affecting organ development and skull formation. The retina of the eye needs Vitamin A to convert into Retinal, allowing the eye to be able to see in color and in low light. It produces pigments in the retina of the eye. Vitamin A also maintains the normal cell development for the membranes and cornea. This vitamin is also helpful with preventing Age Related Macular Degeneration. Transcription refers to the first step of expressing a gene, where the DNA of the gene is copied into RNA. 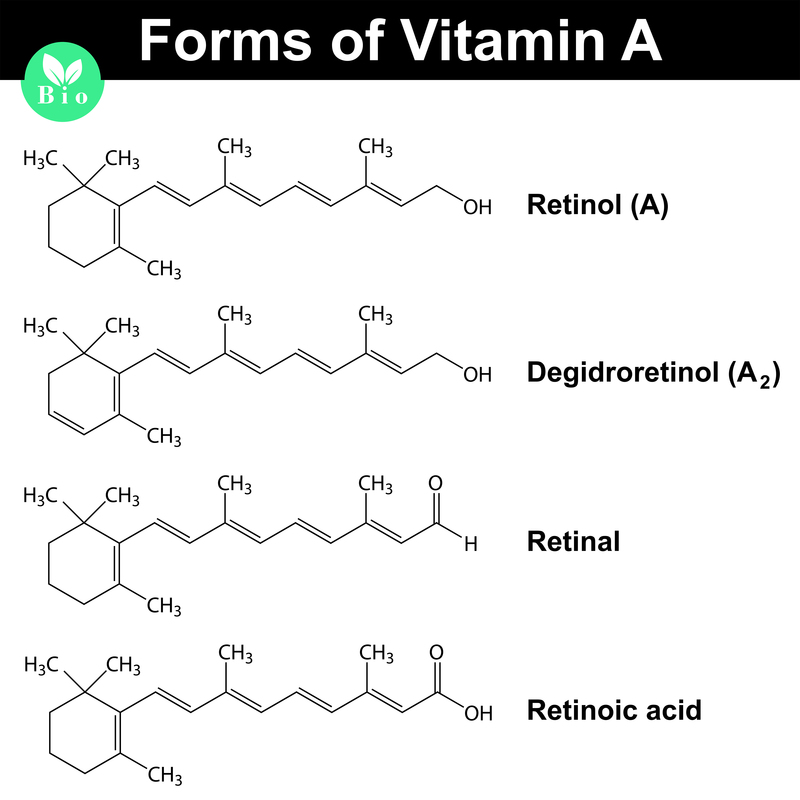 The Retinoic Acid form of Vitamin A acts as a hormone to control the expression of genes in the body. Retinoic Acid is produced by the immune system and is needed to create the immune cells called lymphocytes. The mucous membranes on the eyes, nose and mouth are the body’s first line of defense against pathogens and are maintained by Vitamin A. It also enhances immune cell response and prevents cell death. Vitamin A also signals for anti-inflammation in response to infection as well as prevent the development of autoimmunity. 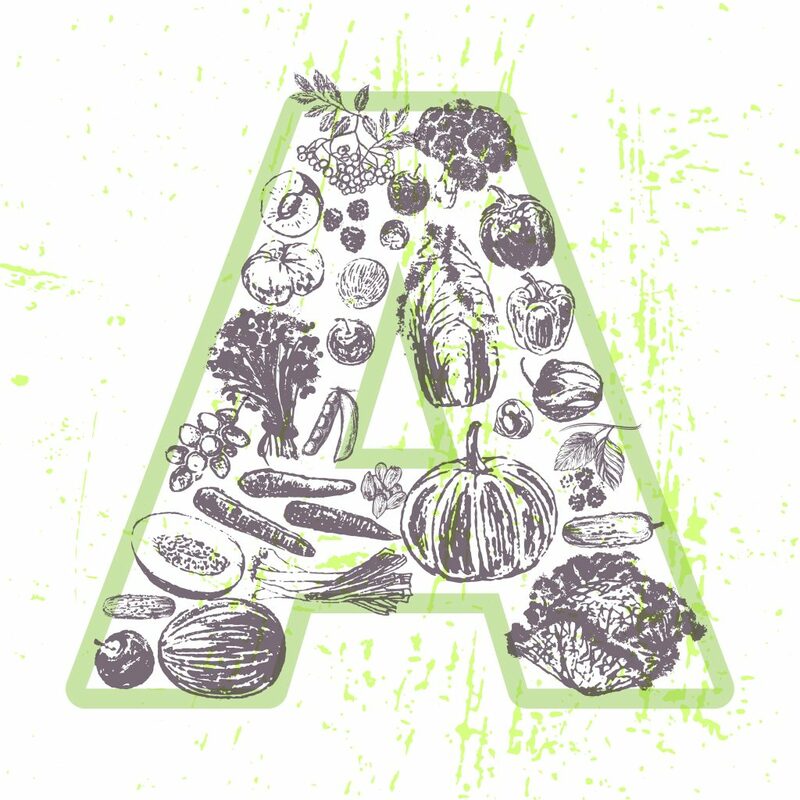 Vitamin A supports cell growth and differentiation of cells into the appropriate cell types and are extremely important in the formation of organs. It plays a role in the development of the heart, eyes, ears, lungs, and limbs. 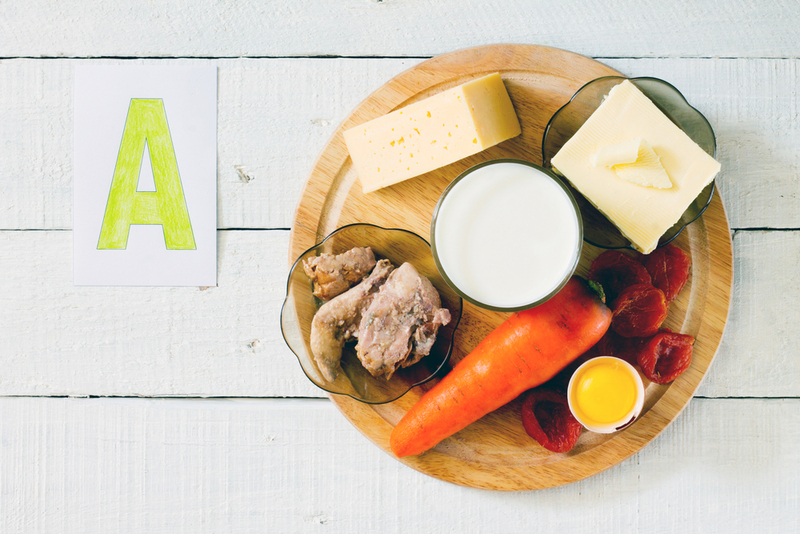 Vitamin A is essential for bone growth and formation, cartilage and collagen synthesis. Topical Retinol has been shown to increase collagen production in aged skin as well as skin damaged by the sun. 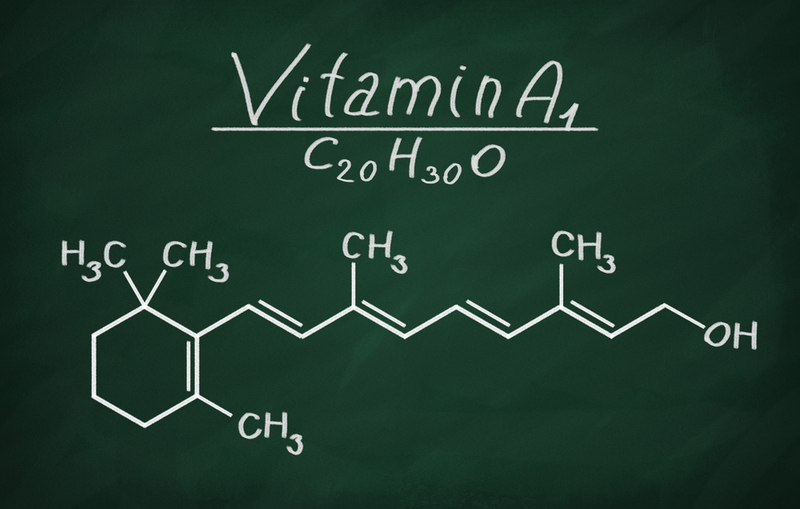 Vitamin A plays a part in red blood cell creation as well as to regulate cell death in cells. 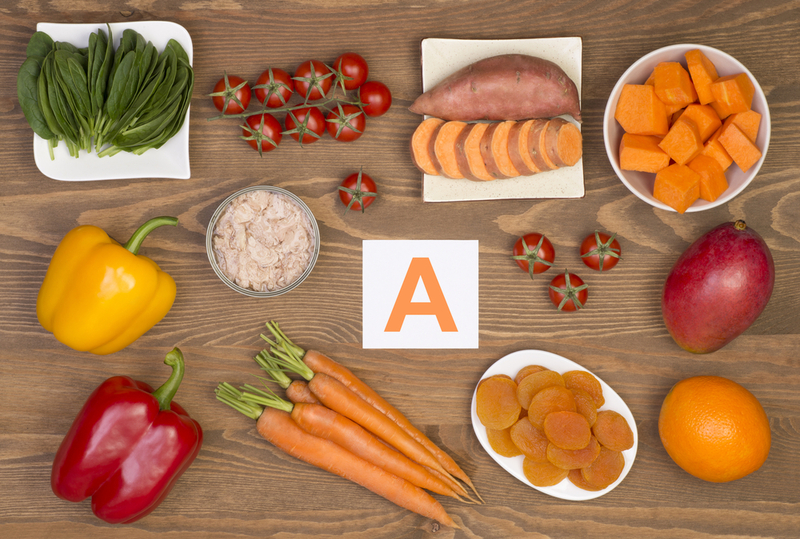 Vitamin A facilitates the movement of Iron from storage in the body to developing blood cells to make hemoglobin. 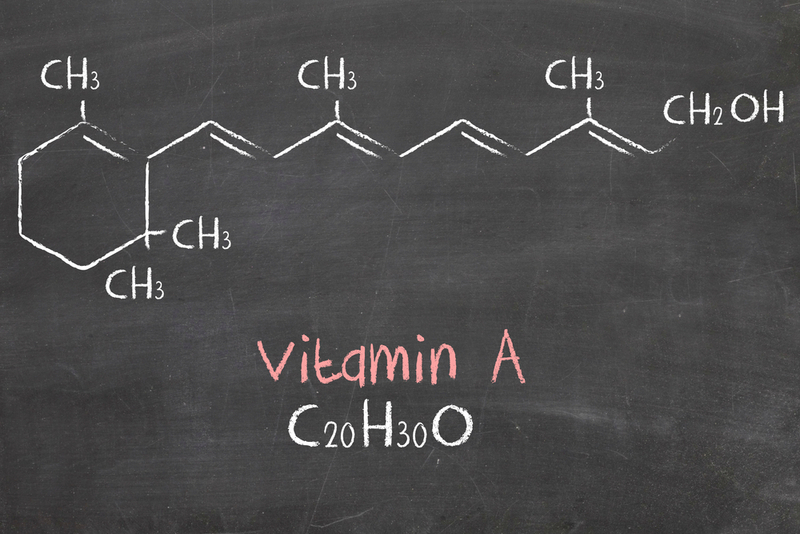 The Retinoic Acid form of Vitamin A maintains skin health by turning immature skin cells into mature skin cells. Vitamin A also maintains the mucous membranes in the body. In the case of acne, Retinoic Acid is prescribed and it reduces the size of pores and amount of sebum the pores excrete. Bacteria on the skin eat the sebum; so reducing the amount of sebum will starve the bacteria. 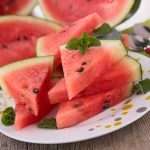 This compound also increases immune response and reduces inflammation. Both Beta-Carotene and Vitamin A are Antioxidants, which protect cells from damage caused by free radicals. Free radicals play a part in chronic disease and aging, so Antioxidants are important to prevent that. Antioxidants donate a free electron to neutralize the free radical and prevent the chain reaction of damage. Retinoic Acid is a growth factor for skin cells, helping wounds to heal faster. Vitamin A is needed for upkeep of the adrenal gland as well as creating certain hormones for the body. Eat Vitamin A rich foods from protein sources such as meat, poultry, and eggs. 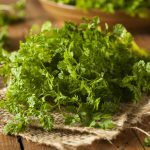 These animal products have high amounts of ready to use Vitamin A. 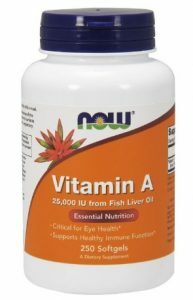 Animal liver has the highest amount of Vitamin A because it is stored there. Eat Vitamin A rich vegetables and fruits. Eating a variety of vegetables and fruits that have Beta-Carotene or Vitamin A will increase your intake as well as incorporate other healthy vitamins. Include dairy such as milk, cheese, and butter in your diet. These foods have a moderate amount of Vitamin A, as well as fats to help with absorption of the vitamin. Include healthy fats in your diet to increase Vitamin A absorption in the body. 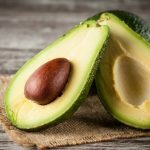 Healthy fats can be found in avocados, butter, and vegetable oils. Try adding a Vitamin A supplement to your regimen. Sometimes supplements can have different dosages, so keep in mind the recommended allowance. Supplements can contain just Vitamin A or Beta-Carotene, or in a multivitamin. Multivitamins that specify immune health, vision health, or skin health will contain Vitamin A so always check the vitamin content. Any excess Vitamin A is stored long term in the body, allowing for high levels to accumulate over time. Vitamin A from foods usually poses no risk, although too much from supplements can cause toxicity as well as severe negative effects. Vitamin A toxicity can disrupt brain cell activity in fetuses. Developing fetuses are especially vulnerable during organ formation. Defects include malformations of the eyes, skull, lungs and heart. High doses of Alcohol, Vitamin A and Beta-Carotene supplements lead to liver injury. Since Vitamin A is stored until it is used, it can accumulate over time and potentially become toxic leading to liver failure. Vitamin A in high doses suppresses creation of bone formation while stimulating bone deterioration. Fractures are also more common and thought to be due to Vitamin A and D competing for the same calcium regulator in the body. High amounts of Beta-Carotene supplements in smokers leads to an increased risk of lung cancer. Developing countries and young children are most at risk for Vitamin A deficiencies, due to limited access to foods that have preformed Vitamin A and cannot consume foods with beta-carotene because of poverty. Vitamin A supplementation has prevented deaths in over 40 countries due to deficiency. Breastfeeding, dietary intake and oral high dose supplements are the main strategy for children at risk for Vitamin A deficiency. 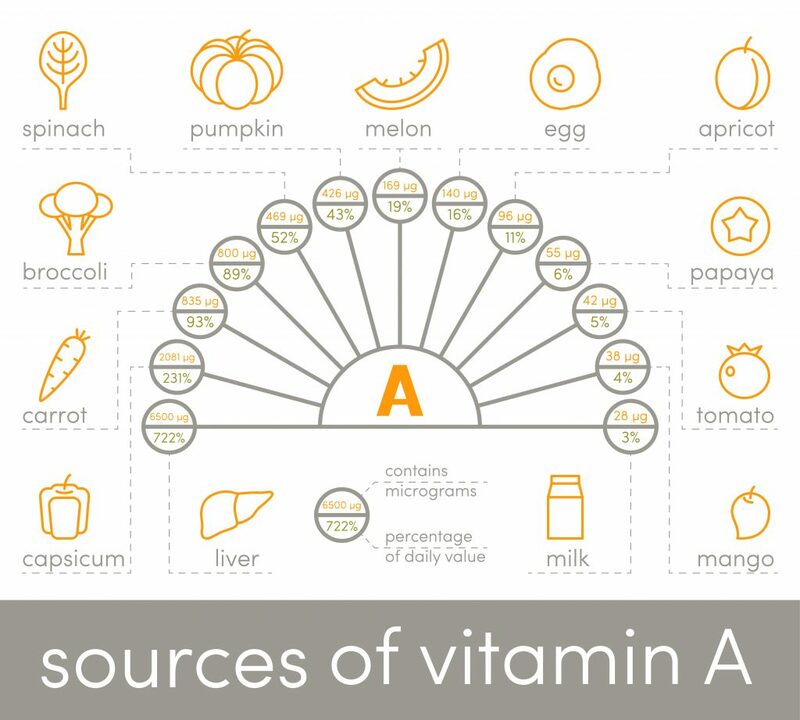 Vitamin A intake is most important during infancy, childhood, pregnancy and lactation because of the high nutritional demand on developing the baby. Those with liver disease or diabetes should not take Vitamin A supplements without consulting their doctor. 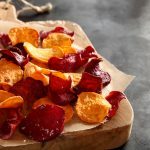 Smokers and those at risk for heart problems taking Vitamin A and Beta-Carotene will be at risk due to an increase in fats present in the blood. Vitamin A supplements are available in multivitamins or separate as retinyl acetate or retinyl palmitate. Tetracycline Antibiotics: These antibiotics when mixed with high amounts of Vitamin A can lead to increased pressure in the brain. Anticoagulants: Blood thinning medications mixed with long term or high doses of Vitamin A can increase bleeding. Cholesterol Medication: Medications that lower cholesterol can interfere with the absorption of Vitamin A, which can lead to a deficiency in the body. Doxorubicin: Vitamin A may alter the effect of this cancer medication. Research is currently inconclusive, so please check with your doctor if you are on this medication and considering Vitamin A supplementation. Tylenol: High amounts of Vitamin A in conjunction with medications that are processed by the liver can lead to liver damage or failure. Neomycin: This antibiotic may reduce Vitamin A absorption in the body, depending on the dosage. Omeprazole: This heartburn medication can interact with Beta-Carotene supplements, although it is not known if Beta-Carotene in foods is affected. Retinoids: Since these medicines are a form of Vitamin A, total Vitamin A intake should be monitored. Women who may become pregnant should especially be careful since birth defects can occur with elevated doses. Orlistat: This weight loss medication prevents the body from absorbing fats, which can in turn affect fat-soluble Vitamins, including Vitamin A from being absorbed. Before taking any dietary supplements, always check with your doctor to make sure that there will be no medicinal interactions or that a dietary supplement is appropriate for you. If using Vitamin A based skin products, be especially careful as they can affect the levels in the entire body.